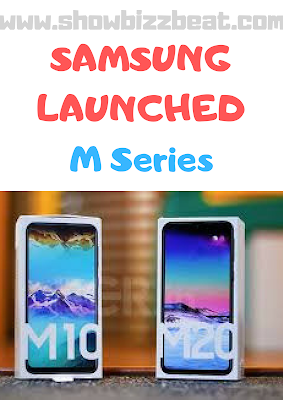 Samsung has internationally Launched its most Awaited New Series named "M Series". Samsung had also given little clues in past that they will be launching the new M Series in the future and now here in 2019 this Series has begun. They Have launched Samsung Galaxy M10 and Galaxy M20. With 2 GB/16 GB Rom and 3 GB/32 GB in the highest Variant. Remember Samsung is doing well in its A and J series already. Initially Samsung has launched the Phone in selected countries but most of the European Countries are having this product after the launch. Well in India Both the models are launched at a very reasonable prices. The M10 Costs for about 7,990 INR while M20 Costs 8,990. So for about 1000 Rupees you are getting one Gigs of Ram and about double the Storage to 32 Gigs. In Pakistan the Series is not launched yet, and expected to be launched in the end of March. The cost of M10 will be around 23000 PKR and the Highest model M20 will worth about 28000. Which can not compete with the others brands available there. Lets see what the actual price comes the the end.